Showing the beauty of Fall and Autumn colors. Location : Grandfather Mountain State Park, North Carolina, USA. Description : I shot this from the top of the Grandfather Mountains in North Carolina. Even though it was overcast the scene was breathtaking. 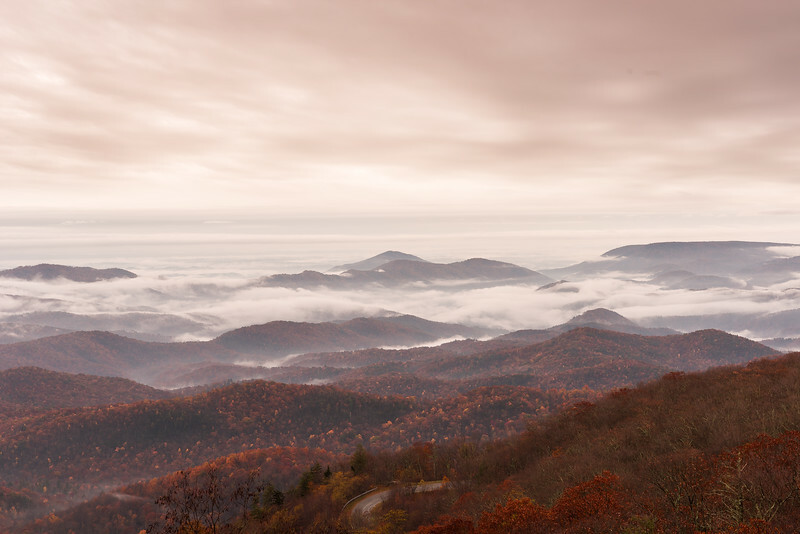 The image does not do justice to the beauty of the Blue Ridge Parkway, one of America's most scenic roads.